3 Which VPNs Can I Use With Streaming Service? 4 Which VPN Should I Use? 7 Why Should I Use a VPN? Virtual Private Networks, or VPNs, are best known for helping increase digital security but they are also great tools to use in conjunction with cord cutting services. Most streaming services restrict your channel availability based on your location. In this guide, we will review several different VPNs and explain popular ways to use them. With a VPN, you can “mask” your IP address to make it appear as if you are in a different location. This is a great feature for cord cutters, especially if a local channel does not appear in your local market. You can also use a VPN with services such as Netflix, to unlock additional content such as foreign films. It’s also great for sports fans. Some services will like NFL Game Pass are subject to blackout restrictions and will block your local team. A VPN can help you get around this blackout to access this content. It’s also really great to unlock regional sports networks or RSNs like the Fox Sports regional networks. Say you live in Ohio but want to watch FSN Florida or FSN Arizona, a VPN will allow you to get that content. Using a VPN is 100% legal and less complicated than it sounds. It is important to note; however, that using a VPN may be against the terms of service agreement of your preferred service but we have not necessarily seen much enforcement…yet. DISCLAIMER: Information is accurate at the time of original publishing. Please check with VPN service for up-to-date information. Which VPNs Can I Use With Streaming Service? Choosing which VPN to use depends upon your personal needs. If you are looking to access channels from another location you will want to see if there are servers in that area. If you just want to get around local blackout restrictions then you may just want the cheapest option. You also want to make sure that you choose one that has enough speed to handle your streaming video content. Price: What is your budget? Are you looking for a one-month subscription or several months? VPN Protocols: What level of security do you need? PPTP is generally the base level which is good for streaming services but you may want to consider OpenVPN for P2P security. Privacy and Logging: Does the VPN log your connections or browsing activities? If they do, it defeats the purpose of the VPN. VPN Servers: The number of servers, amount of locations, and amount of countries with servers are important to consider. Supported Devices: Which devices are actually supported? Can you use the VPN with a mobile device or do they offer solutions for non-VPN devices such as Smart TVs? Bittorrent: Do you also want a VPN to help secure your data over P2P file transfers? Customer Support: Do they offer 24/7 live chat? The market is pretty clear when it comes to VPNs and cord-cutting, there are the best and then there are the rest. We recommend Express VPN, NordVPN, and CyberGhost as the top VPNs for cord cutters. Express VPN is hands down our top recommended VPN. They have over 2000 servers in 94 countries while staying remarkable consistent with high performance. This VPN is one of the fastest on the market, which is very important when streaming video. They also offer a 30-day money back guarantee. This VPN works with just about every single streaming service and is compatible with most standard streaming devices. 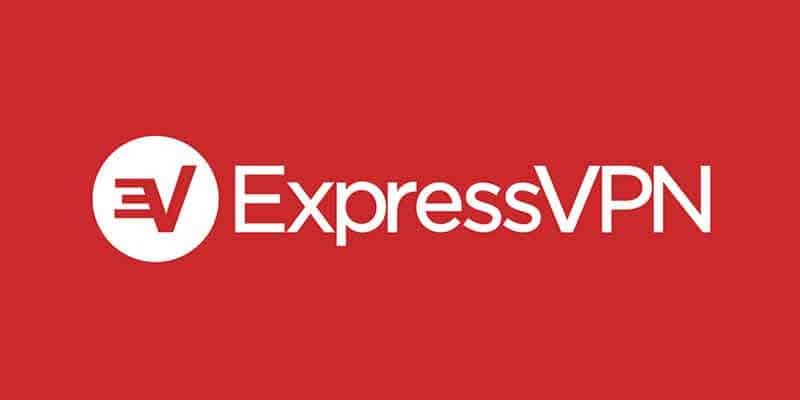 ExpressVPN works with services such as Netflix, Hulu, HBO, Showtime, Sling TV, fuboTV, Amazon Video, Kodi, and many others. Supported devices include Apple TV, Fire TV, Smart TV, PlayStation, Android TV box, and many more. You can have 3 simultaneous connections. Express VPN also has great security. They feature a strict zero logs policy, which means they do not monitor or keep records of your activity. There are a few exceptions such as apps and app versions successfully activated; dates (not times) when connected to the VPN service; choice of VPN server location; and the total amount (in MB) of data transferred per day. They also offer a kill switch and anonymous IP. The VPN industry is notorious for poor customer service, but not ExpressVPN. They feature the best customer service in the industry. You can contact them in a variety of ways including contact forms, e-mail, and most importantly, via 24/7 365 live chat. Having quick response times can be crucial if you have any issues with live television. Nord VPN is a close second on our list. They have over 2800 servers in 59 countries and the speed has improved significantly putting it towards the top. Nord VPN also offers some top-notch security features including double VPN and military grade encryption. They also feature a pretty strict no logs policy. This VPN works with just about every single streaming service and is compatible with most standard streaming devices. Nord VPN feature SmartPlay technology which gives subscribers access to more than 400 geo-restricted streaming services such as Netflix, Sling TV, fuboTV, Hulu, NFL GamePass, and more. You can have 6 simultaneous connections. Nord also has a pretty good customer service department. They are known to help you choose which servers are best for streaming and have been reported to help subscribers walk through setting up the VPN on different streaming devices. They feature a 24/7 live chat that can assist you. CyberGhost is an excellent option for cord cutters. They offer more than 2,900 servers in 60 countries. Some of their top features include top-notch encryption, a strict no logging policy, WiFi protection, and is one of the easiest to use. The VPN is also safe for torrenting and works well with Netflix and just about every other streaming service. You can access almost every streaming service including Sling TV, fuboTV, Netflix, Hulu, and more. Cyberghost is also compatible with most standard streaming devices. You can have 5 simultaneous connections. All-in-all, CyberGhost is a budget option. Its a pretty good VPN but is not as fast as Express VPN or Nord VPN and customer service are allegedly suspect at times. However, there is a 30-day money back guarantee if you are unhappy. A VPN service creates a VPN connection that masks your IP address to make it appear as if you are in another location. Services such as MLB.TV, NHL GameCenter, or NBA League Pass will use your IP address to determine your location and “geo-block” certain content. You can use a VPN to circumvent this geo-blocking and unlock geographically restricted content. VPNs also have other great benefits too. VPNs can be used to secure your online data. This is the most common and most important feature of a VPN. A VPN will secure your internet connection ensuring that all of the data and personal information you send and receive over the Internet is encrypted. This makes it much harder for identity thieves and hackers. If you plan on traveling or if you frequently use public Wi-Fi then you are putting your information and data at risk. A VPN will help add an extra layer of security while browsing public networks, which you may be doing while watching a streaming service. VPNs are great for sports fans. You can use a VPN for you access different local and regional sports networks. You can also use it to get around blackout restrictions. A VPN is also great for people who travel outside of the United States. Most streaming services are restricted to the borders of the US. With a VPN, you can still watch Netflix or Sling TV while overseas. You’ll never have to miss your favorite shows or sporting events ever again just because you are traveling. Getting a VPN is incredibly easy even for people who do not consider themselves to be technically inclined. We break down how to sign-up and use a VPN in a few easy steps. There are many different services available to choose from. We encourage you to spend some time comparing the different features to find one that works best for you. Most VPNs offer a free trial so you can test out a few different ones before committing to a subscription. Once you have chosen a service you will want to download the VPN. The VPN is going to be a computer program or application that runs locally on your different cord cutting devices such as a smartphone, streaming stick, or desktop/laptop. You will install the VPN software similar to most other programs or applications. Once you download the VPN software you will want to open it. There are many VPNs but the interfaces are generally very similar. Then you will want to connect your VPN which means you will need to connect to another server in another location. Most services will have options to randomly connect you to a location or you can choose one from their list. When you have chosen your desired location you generally just have to click a button to connect to the server, wait for the connection to complete and then you are done. As I said, it’s actually a very simple process. Watching sports can sometimes be very challenging for many cord-cutters due to blackouts and geographical restrictions on broadcast rights and local channels. However, there is good news. With the use of a VPN, you can easily get around these barriers to watch your favorite sports teams.